IWIWT | What Does IWIWT Mean? 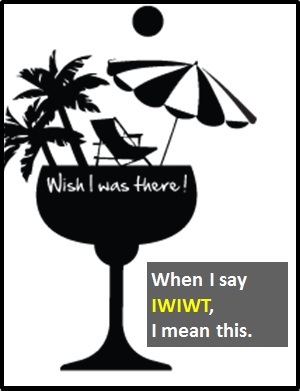 IWIWT means "I Wish I Were There". "I wish I was/were there."